It’s dangerous to solely rely on electronic safety systems as they don’t always handle driving tasks as humans would, tests from the Insurance Institute for Highway Safety (IIHS) have revealed. According to the non-profit group, unexpected outcomes range from irksome – such as too cautious braking – to dangerous, like when a car veers toward the shoulder if its sensors can’t detect lanes. Five cars were evaluated for the study. All of them had automatic emergency braking systems (ABS) rated superior by IIHS. Level 2 refers to SAE International’s scale of zero autonomy to Level 5 full autonomy, with the combination of adaptive cruise control (ACC) and active lane-keeping at Level 2. 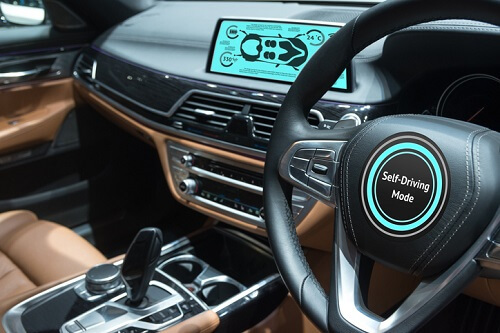 Such technologies can assist with steering, speed control and following distance, but the human driver is still in charge and must stay on task. According to the IIHS, ACC doesn’t react to traffic signals or other traffic controls. Active lane-keeping provides sustained steering input to keep the vehicle within its lane, but drivers must continue to hold the wheel. “ACC systems require drivers to pay attention to what the vehicle is doing at all times and be ready to brake manually,” said Jermakian. However, the non-profit still cited a federal sponsored study which found that drivers using ACC have longer, safer following distances than drivers who don’t use ACC. As it conducts more tests, the non-profit aims have a consumer rating system for advanced driver assistance systems.